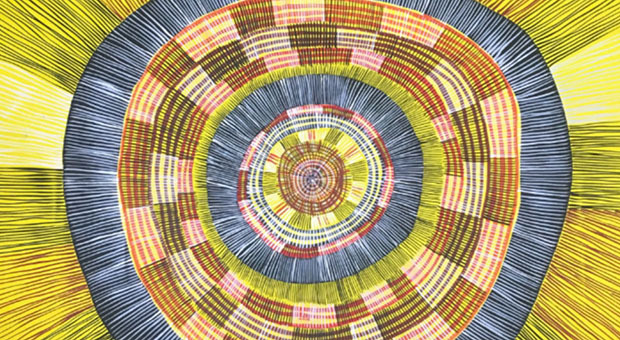 The foundation for the exhibition Yerr Wetimbi yi Yerr Marrgu / Old Way & New Way is deceptively simple: linguist and artist / weaver Patricia Marfurra has made a huge and magical woven fishnet which Kieren Karritpul translates into delicate abstract paintings. The “old way and new way” working relationship between mother and son however reveals a shared commitment to sustainability and community. Patricia Marfurra’s woven and Kieren Karritpul’s painted tributes honour the teachings of their ancestors and demonstrate the way strong cultural connections in daily life can be maintained.